Dr. Dale Fehr utilizes the latest orthodontic methods and technology to ensure you and your family get the beautiful and healthy smiles you deserve. 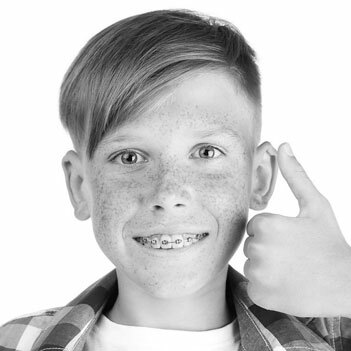 We offer braces for children, teens, and adults, as well as Damon® Smile and Damon® Clear™ brackets for faster treatments and Invisalign® clear aligners! Plus, we’ve eliminated the need for headgear and extractions with the use of the Herbst appliance. We know that our patients come to us for a great new smile and a wonderful orthodontic experience. Dr. Fehr and his staff will take the time to answer all your questions and make you feel completely comfortable about the orthodontic process. Your treatment will be unique to your specific clinical needs and also your personal preferences and lifestyle. Together, along with Dr. Fehr, the Fehr Orthodontics team provides a fun-filled and energized atmosphere for our patients. Even with all of the team's years of experience, Dr. Fehr still realizes the importance of continuing education for his staff, allowing them to maintain the highest level of professional expertise to better serve their patients. At Fehr Orthodontics, we love to have fun, and we want our patients to be excited about their orthodontic appointments! Our office is designed with children and families in mind, with contests, games, and patient parties! We want everyone to feel right at home here, and we love to see you smile!